In collaboration with the Open University Research Software Engineers group, we are happy to host this workshop introducing you to one of the great facilities available around the Open University. 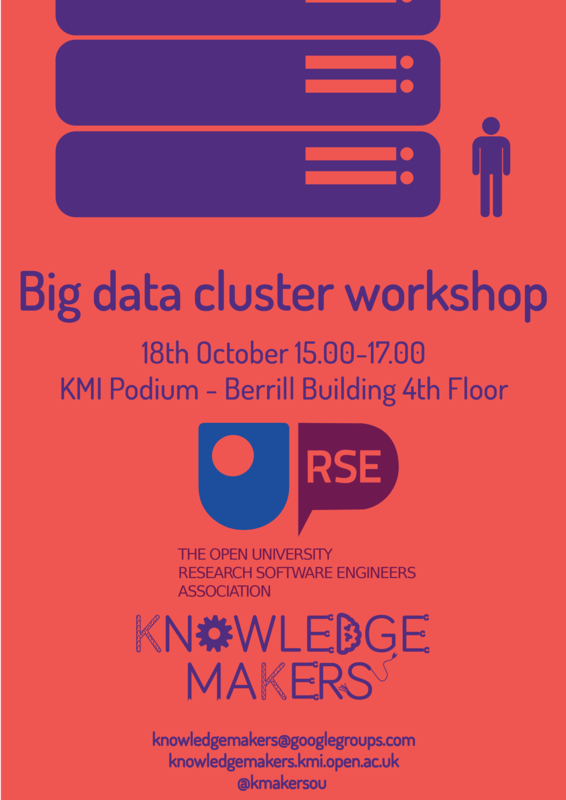 You will have a hands-on introduction to using the Big Data Cluster, you will hear real-life experiences and you will see first hand how you can use the cluster for your work. At the moment, the Big Data cluster is a 19 node cluster running the Hadoop stack. « Knowledge Makers v5.0 + Special Keynote!